What Does Relevant History Look Like? There’s a Podcast for That! Historic sites are usually skilled at explaining the history of a place, event, or person but when it comes to relevance, it can be a mixed bag. They often can’t make the leap from sharing information about the site to sharing information that’s meaningful to visitors. Historic sites have important messages to share (i.e., why does this place matter? why is it significant?). 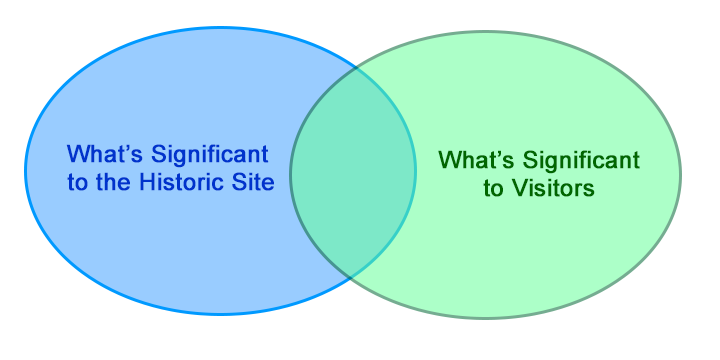 They just need to find the spots where it overlaps with issues and topics that are meaningful to visitors (what is significant to them?). That overlap is the “mutual significance” or relevance. This entry was posted in Community engagement, Historical interpretation, Resources and tagged Back Story, Brian Balogh, Ed Ayers, Malcolm Gladwell, Peter Onuf, Placemakers, Podcast, Rebecca Sheir, Relevance, Revisionist History on July 27, 2016 by Max van Balgooy.